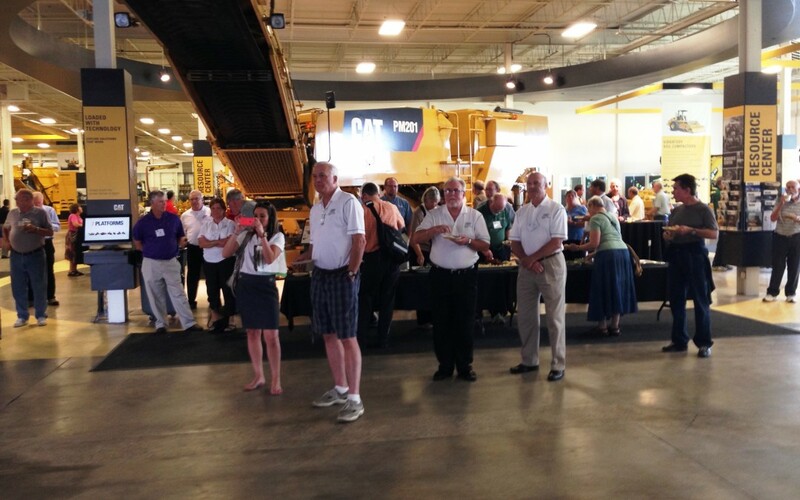 ARTBA’s Traffic Safety Industry Division (TSID) held its “Summer Social” June 24 at a new Caterpillar Paving Products showroom in Maple Grove, Minn. ARTBA hosts the event each year for members of the AASHTO Subcommittee on Traffic Engineering and the National Committee on Uniform Traffic Control Devices (NCUTCD). This year’s AASHTO and NCUTCD meetings were held in nearby Bloomington. During the social, TSID recognized winners of its Jake Landen Safety Award. The 2014 recipients were: Priscilla Tobias (public sector), state safety engineer with the Illinois Department of Transportation; and Jim Keaton (private sector), director of business development, Lindsay Transportation Safety.